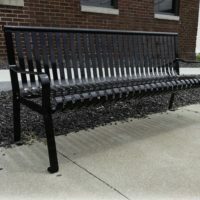 Manchester round planter - Bison, Inc.
With many styles to choose from, all complementing our Manchester bench collection, Manchester receptacles are guaranteed to satisfy your receptacle needs. 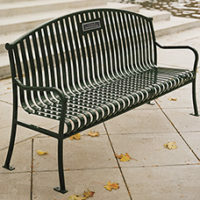 Choose from litter, recycling, ash or planter styles each with distinctive vertical, 1-1/2″ wide slats, flared at the top for aesthetic appeal in any landscape design. 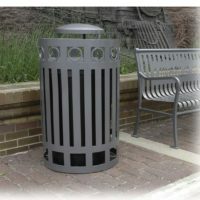 Litter receptacles are available with dome, ash or flat top. 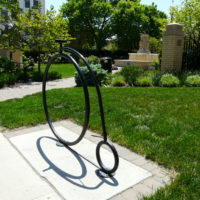 Each Manchester receptacle comes complete with a heavy rigid, molded liner. 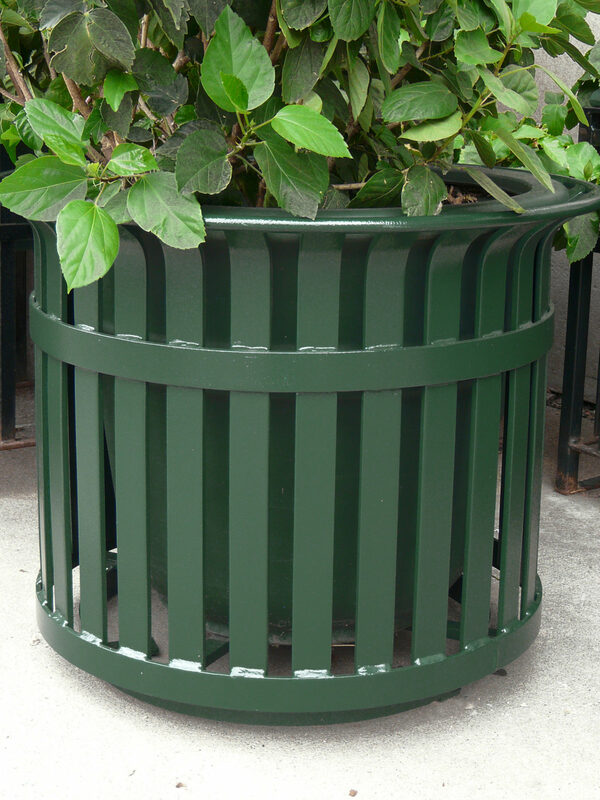 Our receptacles are so durable they are the last ones you’ll ever need to buy.